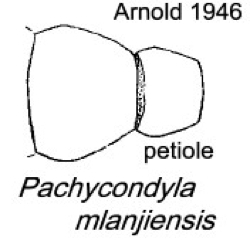 Arnold's (1946) description is at . 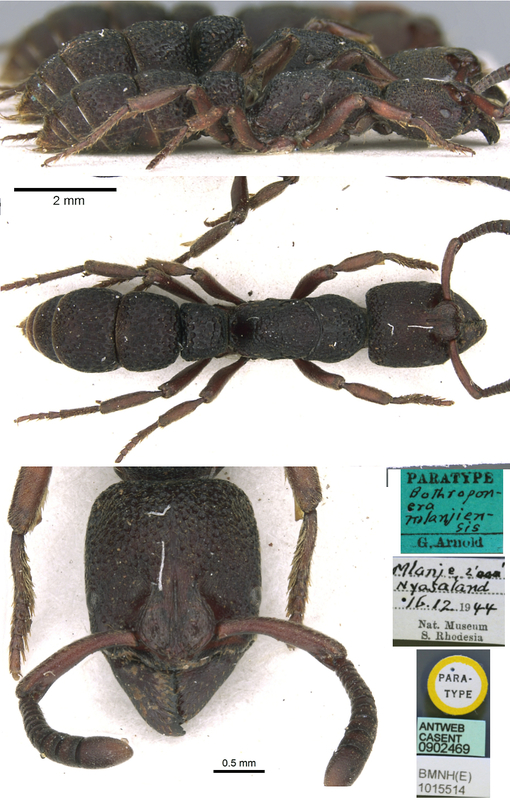 The photomontage of a paratype worker is collated from http://www.antweb.org/specimen.do?name=casent0902469. 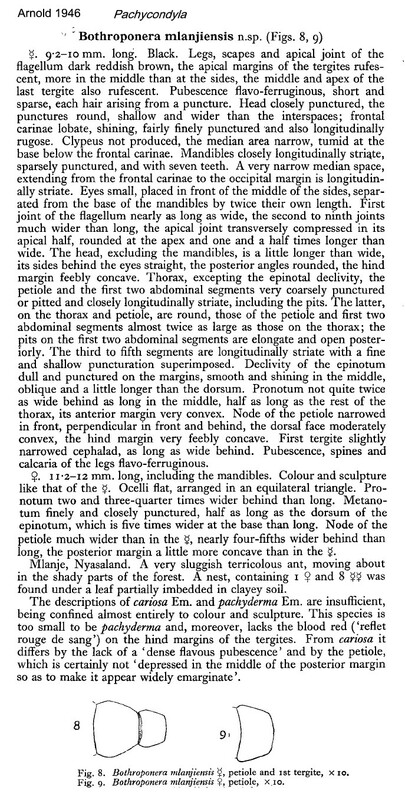 The photomontage is of a specimen from South Africa; Kwazulu Natal, St Lucia; collector P Hlavac.